After the DOE decided to ignore their agreement with the UFT to keep Teacher Data Reports confidential, the effect was immediate. But I'd like to start further back than that, and return to last year, when I first saw my stinky TDR. The effect on me was immediate, because I knew why I'd gotten such a low score. Besides the fact that the formula is wildly unpredictable, I had the added disadvantage of teaching extremely needy kids in an otherwise excellent school. I have no one to blame for that but myself; when my AP asked whether I'd take on the most challenging students they had, I agreed. I had some crazy idea in my head that helping the students who needed it most was what a teacher should do. So I did it. I've done it most of my career. Now, because my school is so good, it was compared to other schools that are equally good or better. And there is simply no way that the kids I had taken on could compare to the average child in a "comparable" school. It didn't matter that I got the average child in my class to read (and document the reading of) well over 30 books each. It didn't matter that I managed to get a bunch of unruly and disinterested children to follow routines and learn to respect both the learning process and each other. No, all that mattered, as far as the DOE was concerned, was that I could not bring these children as far along as kids without learning and behavioral problems. So when I got my TDR last year, I did something I am still not proud of. I quit. No, I didn't quit teaching. I just quit volunteering to teach the very children who needed me most. When my AP asked me to take them on again (which he would not do unless he knew I'd been successful), I said no. This year, those kids are with another teacher who has difficulty just getting them to sit in their seats. (This is not a knock on her. She is new and these are tough kids). I sometimes regret my decision even though this year I have a group of motivated students who will no doubt vault me back into the rarefied air of the "excellent" teacher. I might have gone back to teaching the toughest kids next year, because I think teaching is all about reaching the toughest-to-reach children. That was before the DOE decided they wanted to release the TDRs to the public. I have a family to support and they are my primary duty. I can not take a chance that I will lose my job over some erroneous data. There are other consequences of the TDRs that became apparent to me immediately. I've had discussions with at least three excellent teachers who have told me that they are now planning on leaving the DOE for sure, because they can not see how they will ever be able to put in enough years to retire from this system. They feel everything is stacked against them. Because it is. Another consequence is that no one wants to teach the grades or subjects that are targets of the reports. I have a feeling that a LOT of teachers are going to request K-2 assignments or look to leave middle school so they don't have to be subjected to public humiliation should their numbers not stack up with whatever new system the DOE devises. Those are the unintended consequences of the TDRs. Or, I wonder, did the DOE know exactly what would happen? Could it be that they want teachers to leave and to feel under the gun at all times? Could it be that they want no one around long enough to collect those pesky pensions? 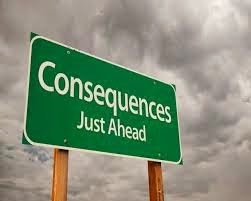 Perhaps these consequences aren't so unintended after all. Well said, AT. The system, as Klein and Bloomberg would have it, is now gamed. What was once a call to get the most experienced teachers to the neediest kids has now turned to putting targets on experienced teachers' backs for termination. Bloomberg, Klein, Duncan, Obama, and all others who follow union-busting policies are fraudulent, corrupt, and care nothing about children. Period. Don't forget that middle-school teachers will go into the high schools to teach since TDRs are not used. I'm very annoyed at the union for once again believing in the DoE. It reminds of the story of the Scorpion and the Frog. We all know that it's the scorpion's nature to sting. "... did the DOE know exactly what would happen? Could it be that they want teachers to leave and to feel under the gun at all times? Could it be that they want no one around long enough to collect those pesky pensions?" I think yes, yes and yes. You can read all kinds of other examples suggesting why, in my book, "The Education and Deconstruction of Mr. Bloomberg, How the Mayor’s Education and Real Estate Development Policies Affected New Yorkers 2002-2009 Inclusive" is available at Amazon.com, barnesandnoble.com, borders.com, on the Kindle, on other e-books and in book form. Please visit my book blog at http://educationanddeconstruction.com/?p=143 and https://www2.xlibris.com/bookstore/book_excerpt.aspx?bookid=81047 to read excerpts. Thank you. Just for comparison, here's what it's like teaching in a private school - tuition 30000/year, 50% of our kids are on scholarship, many pay nothing. Emphasis on students, learning, and written evaluations. Rampant grade inflation, lawyer parents putting intense pressure on teachers to give As. I have no boss. I work 3 days a week for about 50.000/year - no benefits. The kids are mostly spoiled, many are neglected "latchkey kids". The school is a mess as these rich kids don't like to throw away their trash. The "scholarship" kids tend to be really sweet and determined. I have no job security whatsoever, I can be fired at anytime without reason. Amazing equipment with smartboards and any supplies I would need. Overall - great job. I could never teach via the DOE as I would loose my mind in 9 minutes. Testing is a waste of time, and you guys are amazing for sticking with it, but, if the system is broken, maybe....something has to change. they need to be completely shut down. the DOE is as useless as an ashtray on a motorbike. they don't educate a single child; and, due to centralization, their metrics are from such an altitude as to be worthless. this should not however be conflated with the belief that teachers can not be measured effectively. At different times there are different needs. I'm sure there have been times when the most challenged were simply sidelined. Today, at least in "popular" discourse, educated intelligence is mocked as elitist. The future elites need help, too. I'm not a teacher, but I wanted to say I'm really convinced by your experience -- up until the point at which you get into conspiracies. No, I don't think there is an education official at the national level who is intentionally impoverishing the classes of needy children. No, I don't think this is a pension grab. You'd probably be the first to say that our system in general does not serve students well: people at all levels are trying to improve the system. When those reforms fail, the best way to respond is like you do in paragraphs one through nine: principled criticism that speaks to that part of the system and electorate that cares about children. We are out here -- me and people like me, voters and people who are involved with our school boards. We'll do whatever helps our children (and things that make you upset are sometimes on the table as we negotiate how to help our children). Your frustration is understandable. Assuming that you're intentionally being stolen from and forced to leave your job without a pension is less understandable. I worked as a TA in grad school, and liked it so much I added a science education B.S. to my list of credentials. I took a job as an AP science teacher in a nearby town. Then I made the mistake of admitting I was fluent in Spanish. Suddenly, I was herded into a middle-school position teaching disadvantaged students. Many of my students had been classified as "behaviorally challenged" the year before, but due to budget constraints, they were miraculously cured over the summer. So, I spent a year with no books, no materials, and over 180 students (most of whom were drug and gang involved). It was hell, and I SHOULD have quit the first day. It cost me my dignity and my health, and earned me about 30K. My next job was as a real scientist, making over 100K with excellent benefits, and armed guards to keep the sort of kids I'd been teaching at bay. Teaching SHOULD be the most honored and revered of professions, and SHOULD attract the very best and brightest. Sadly, it's become a throwaway job, babysitting a throwaway generation. Get out while you can! can you define these abbreviations? There's no conspiracy. It's yet another bureaucracy that has scaled beyond its design capabilities. These are brilliant posts. Seems to me that this DOE stupidity originated with the best of intentions, but then became sabotaged by the inherent bureaucracy in government programs. The teachers unions took teaching and turned it into bureaucratic big business, and as such that is how it is now run. Local parents have nothing to do with it. The only way I was able to get accountability for my children's education was to put them in private school at great expense. The teachers and teachers unions created this bureaucratic situation, but complain at the crappy resolutions proposed. Unfortunately, they don't see that they will need to drop the crappy situation they created to get a better solution. These fixes are only built on the foundation already created. Something is wrong here. Teachers complain that the formula doesn't work when teachers are teaching great kids, because the kids can't advance much. Okay, fine. But now this post is about teaching non-great kids. It should therefore be a slam dunk to get a superlative rating: they're way down in the dumps, just drag them up a bit and boom, you're the world's greatest teacher in terms of percentage improvement. Maybe its just me but I think for the sake of the country we should be placing the best teachers with the best students like the rest of the world. Spending all resources trying to educate the uneducable is a losing strategy. "Disinterested" is not the same as "uninterested." Don't feel guilty for electing to teach the better behaved students. The top of the class needs good teachers just as much, if not more so, than the bottom rungs. Go where your skills are appreciated. Too much emphasis is placed on dragging the underclass where they don't even want to go, while bright and driven students are left without direction. If you want to help the world, the latter group are far more likely to make a positive impact for society at large, and will do so thanks to your teaching. In general our country doesn't value clothing designers, teachers, artists, or any other profession out of the "value limelight". Lip service is given to teachers because it seems absurd not to value them but the reality is a lack of support. Personally I think generalization of teaching and treating students as a bulk of material to be processed through the system is the issue. At the same time homeschooling and private schooling also suffer extremes. Homeschooling efforts of less that approximately 10 to 20 families involved suffer an absence of knowledge or skills. Private schooling can be games as the author suggests. I propose another way. Establish your group of people first based on "like mindedness" then look at teaching as just another one of the roles that should be played by a member of the group (and therefore supported fully). Parents should definitely have full control over their childrens teaching but that's doomed if the instructors are more or less strangers. Conversely, the instructor should have full authority over the children & the trust of the parents. If a child skips off the page the teacher should feel all confidence to get them back in line. This is really only possible if the teacher is a close friend and holds the trust. Again - trust. Not the kind that corporations and governments professed to have with their customers or citizens, but real trust is what I'm speaking of. There is so much good that can come from that model. I think it would benefit most children. First of all these ratings are an important way to measure teachers, something we desperately need to improve the system. Sure, they do not work in all cases, such as yours, but that is not a reason to hide these reports. Secondly, surely it is more important to get your teaching methods out there, rather than handling one class at a time. The benefit you can really give is making teachers better capable to handle disruptive students, rather than teaching students directly. You should be teaching teachers, what you have is a rare skill, these kids are not easy to teach. Share this skill with as many as you can, starting with the new teacher. I love this post. Great look into how these ridiculous policies are actually affecting real people in real schools, not just numbers. With all due respect, as a former "good" student, I somehow feel (selfishly, no doubt) that your time would be more effectively used in helping good students. What's with the attitude that good students don't need guidance from good professors to make the best of their lives? I wish I had a prof that cared for me and my circle as much as they cared for the bullies and broken home types who had no business getting the time they did. Instead I had attention from my parents - and their warped world view, without a balancing force from school. For all the efforts the A-list teachers made, the hard cases all wound up as white trash, with even the best leaving after one year of pre-college. We don't gamble on sick horses. Why are our best teachers given to sick minds? The country is beginning to realize a deficit of good teachers as discouragement and anger begin to overtake our teaching force. Low wages, tougher goals and less money are all creating a rotten soup pot for our education in society. The have's and have not division continues to widen as parents with minimal to maximum wealth send their children to private schools and everyone else suffers with the entropic decline of our educational system and thus society as a whole. Teachers need to be given bonuses based on not only testing but grades. And to prevent manipulation of grades, teachers can give each 360 reviews to ensure that everyone stays on the level. I believe we need to continue moving forward on this issue. I'm a younger mid twenties guy that thankfully has made it through poverty and worked his way up through college and now working very good job. I went to nyc public school (poorer area of ridgewood, ny on the edge of brooklyn) since my family could not afford to send me to private school. I hope this background information will at the very least make you think twice about your current teaching ideology. Anyway, your post and many responses under it bring me back to those days which left a very bitter taste in my mouth. Policies focusing on the worst kids before any attention or resources is given to the top students is very misguided. You seem unaware just how badly you are hurting the will of the kids that actually want to learn. I get why you feel helping the bad kids is the right thing to do as it seems like the noble thing, but by doing so you are effectively lowering the bar for everyone and when that happens no one wins. You forget that smart kids don't just magically combust into success stories. I grew up with many smart kids as well and because some were discouraged through these kind of policies, eventually they fell in to the same traps that many in our area fell to. In fact, most of the kids i grew up in junior high through high school ended up falling into selling or taking drugs, and others in to gang behavior. Some of these were top students in my classes, but it got to a point where it felt smarter to just take it easy, be placed in lower level classes where no where near as much hard work would be required and sacrifice of time. We had an English class where we would receive stickers on a posterboard whenever every single person in class had all their hw for that day. The class with the most stickers at end of year won a pizza party. This was a great way to get us to do our hw and since it was posted on the wall every class would actually compete to get everyone to work together to get the hw done and win the party at the end of the year. I even met friends during lunch from different classes that talked about how the kids were organizing to make sure everyone had the hw done. Since it became so competitive (amazing how much one pizza party can motivate junior high kids) most of the classes were neck and neck except for one which 3/4 of the way through the year, began to lag behind. As the end of the year came and the day we were supposed to get our pizza party we come in to see that the class that was really behind on the poster suddenly had more stickers than all of the classes. Turns out the teacher thought it wise to give the behind class a special one-day project with the notion that if everyone in the class brought it in, they'd get enough stickers to catch up and win and get the pizza party instead of us. In the face of the teacher, one day's hard-work and completion from the behind class was worth more to her than an entire year of constant good work from the "smarter" class. It's almost as if their teaching theories all focused on raising the bar from the lowest classes instead of focusing on raising everyone by focusing on the top classes. When you do things like this, all you are doing is encouraging the top students to stop working so hard because really, what is it worth all the time sacrificed? Long story short, our system needs to encourage intellectual competition and provide real bonuses to actually being a smart and studious student. Currently both teacher and personal cultures seem to value those behind a lot more than the top students. I'm horrified by some of the comments on here. Saying that uninterested or behavioral problem children don't need good teachers is the most ignorant thing I've ever heard. Have you ever thought that maybe a good teacher could change their lives? Did you even think that maybe a "behavioral problem" child does want to learn? I personally went to an "alternative school", a school specifically for these type of children, and while I will admit some of them didn't make it far, most of them graduated BECAUSE of the school and it's teachers. I was a "good" student, I had good grades but I had problems in public school because of the students, had nothing to do with the teachers. My grades were good but I never wanted to go to class. When I went to Alternative school, I was happy to go, to learn in an environment that was more suited for me. I graduated with an Advanced Regents diploma, most of my "normal "high school peers couldn't even manage that. 95% of all the "behavioral problem students" graduated from high school that they wouldn't have even got that far in their "normal" school, they would've dropped out. Having these schools is important and having good teachers is just as important. If you can reach these kids, you know you can, you have, then why would you let some one tell you you're worthless? You were priceless to those kids! All of my teachers I respected and adored, they helped me, they worked with me, they made sure my little sister had the one on one learning she needed. I'm sure that those students you had last year, miss you and respected you and I'm sure their parents wish you were there still and if you do decide to go back, would stand behind you. Because as parents they KNOW that you've helped their children and they know you are priceless. A teachers most priceless possession is their students and their students parent's support. Good teachers are need everywhere for all children, throwing away "behavioral problem students" because they aren't "good students" is crap. But all my teachers from the alternative school all loved their jobs, loved teaching us, loved that they could be more open with us, cause we were more open with them as well. If you don't love the job you're doing, don't do it. It seems horrible that you were so proud of you're job in the last posting but all the sudden it sounds like you can't look yourself in the mirror because of what the DOE has done. Send personal letters to students parents so they are informed. It's sad that teachers would be discouraged from teaching kids that need the help because of the DOE bs decisions. I think such a thing is prone to happen when all that matter is a number; grades affect kids in the school, when all they have to achieve is the highest mark in paper and little else, and now it affects teachers as well. The whole educational process is getting completely rotten, and it's an enormous pity. "The Bavarian Illuminati faked the moon landings" is a conspiracy theory. "The Secretary of Education is trying to break the teachers' unions" is speculation. Conflating the two is ingenuous and a cheap shot. Kids will sink to perform to the expectations of the authority figures around them. In elementary school (one of the best in the district), I was always put into the "smart kid" classes and the "mixed" grade classes, where I was chastised for working ahead (aka "not staying with the class"). Even there, teachers spent the most time with kids that weren't performing well. Because of that, school was a living hell where I mainly practiced the skill of turning off my brain for long periods of time. Eventually, I just tutored younger kids during recess because it was something to do that wasn't mind-numbingly boring. The kids I tutored got lots better academically, mainly because I expected them to read at my level and was patient in getting them there. For the love of whatever deity you hold dear, please please please stick with the kids who are actually interested in learning, push them to do more than their best, and teach interesting material that happens to fall outside the official curriculum. I have fond memories of the few teachers that occasionally taught material thought to be "too hard" to include in that grade's material, but that held my interest because it was interesting. It wasn't until high school that I got teachers that pushed me to do more than I thought I could and made me really work for that good grade. For those commenters who feel that lower-performing kids need the instruction more, volunteer at your local elementary school instead of spending time posting online. Put your time where your mouth is. I teach to the smart ones. The rest are dead weight. They don't care and cannot be reached. When you have thirty four in a room five times a day and other redundant "busy work, one has to be pragmatic. I will not burn the candle at both ends. I will also not waste my time and energy on uninterested lumps of biotic mass. It's all a balancing act. I teach literature in an inclusion class where I have nearly the brightest as well as nearly the worst. The question that is normally taken to be of the greatest concern is what to do with the majority, which, unfortunately, happens to be on the mid to lower end of achievement. Teaching the problem students is very rewarding when I bring them to the standard; but I know my smarter kids are starving in their seats. I see them finish their work quickly and then read or become disruptive. I can't help but see them because I was one of them. In my pre-service training there was a lacking in material on gifted students who will invariably be in inclusion classes. However, the deficit was recognized and by the time I got my license, I had spent a lot of time in classrooms experimenting with differentiated lessons. While this model is not perfect, it is a great step towards allowing individual students the educational opportunities they need at an assessment level appropriate for them. The main problem is that these types of lessons take a ridiculous amount of planning and preparation. I'm without a family and have very little to occupy my time outside of school; therefore I dont mind so much staying awake for three days at a time in some cases to get the job done. Still, I know that the majority of teachers, like anyone else in the workforce, have families and deserve time to spend with them. So here is the overarching problem with teaching to a diverse population as I see it: achievement from every student CAN be achieved; (I've seen it) the drawback is that it requires a teacher to basically give up any sort of social or private life. Plus, the amount of work required for the results expected makes one's paycheck look like slave wages. I have great rapport with the students and the community at large. I am well liked but have no time to enjoy the rewards of being so. I now have to choose between my life and the great potential lives I am told I am helping the students realize. My hell is not teaching troubled students; hell begins when the bell for dismissal rings. I hate that bell so much.